There are approximately 9,010,000 search engine results for retail blogs. Given this vast amount of choice, the issue for retailers is deciding which blogs provide the most reliable and trustworthy information. A retail blog can be a valuable resource for retailers who want to grow their business using the latest innovation and technology. The ability to access up-to-date insights is a must for retailers and reading the right blogs is a key part of staying informed. Retailers know when they have found the most suitable blogs because they will want to subscribe in order to receive the latest updates. They may also follow the blog writers on social media. Retailers can bookmark their favorite blog posts or use apps, like Feedly and Pocket, to save them for later. Keeping you abreast of current retail trends. Providing innovative customer attraction and retention methods. Advising you on how to use the latest technology to grow your retail business. Improve your in-store and online experience. The NRF is considered to be one of the largest retail trade associations in the world. It represents different retailers, ranging from chain restaurants to department stores. The NRF blog seeks to use advocacy, communication, and education to make positive changes to the retail industry. The blog provides data to assist retailers in their marketing decision process. You’ll also find interviews with retail executives to provide first-hand accounts of how retailers are confronting challenges and maximizing opportunities. The NRF’s educational content inspires retailers to take positive action. The NRF is also a leading source of research into the retail industry. In fact, findings from NRF surveys, like the Consumer View Fall survey 2017, are often referenced in our Deputy blogs. The Retail Doctor is a retail consulting company founded by Bob Phipps who has more than 30 years’ experience in the retail industry. He is a nationally recognized business strategist and an expert in his field. This expertise offers unique insights into mostly small retailers. The Retail Doctor blog tackles most retail-related issues, such as improving your sales team, making more sales and providing a better customer experience. If you’re looking for a blog that will help you to improve the experience of your customers, then check out The Retail Doctor. The tone of the blog is very personal and Phipps writes as if he is speaking to friends. This helps to establish the character of the blog as one where the reader is receiving advice from a trusted buddy. 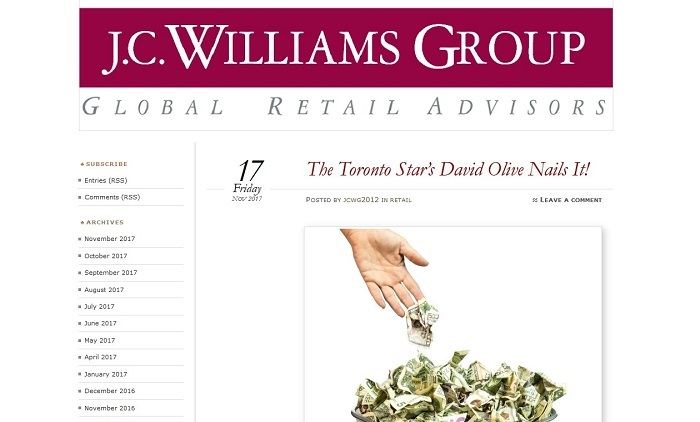 The Retail Eye blog focuses on bringing you the latest on “retailing trends, concepts, and best practices.” The blog is operated by the global retail consultancy practice, the J.C. Williams Group. The differentiating factor of this blog is that they keep you up to date with what’s happening in retail on a global scale. International trends normally catch on, so reading this blog is a good way of staying ahead of the curve to find out about the innovations that could impact retail on a national level. This blog is suitable for large and small retailers who want to keep their finger on the pulse in relation to how retailers around the world are responding to changes in retail. It should come as no surprise that Forrester’s Retail blog provides data-driven insights into the issues that affect retail. Forrester is one of the leading sources of research and data in the world. This position provides retailers with a valuable and trusted resource to find out what’s really going on in the retail industry. Forrester undertakes large-scale and in-depth research. Due to the high-level nature of the research, this blog is more suitable for big retailers. However, smaller retailers can still benefit from following the Forrester’s Retail blog in 2018 when learning about the technological and consumer trends that are affecting the retail industry. Give you ideas about how to add value to your customer proposition. Help you to learn from other retailers who are dealing with similar issues to yourself. The Independent Retailer blog is a trade publication that caters to brick and mortar and online independent store owners. If you’re seeking advice on topics, like wholesale buying and selling, The Independent Retailer blog will be a valuable source. In addition to the blog, The Independent Retailer also publishes a monthly print and digital magazine, which is available through subscription. The magazine features information from leading US manufacturers and importers to help you to make better buying decisions. 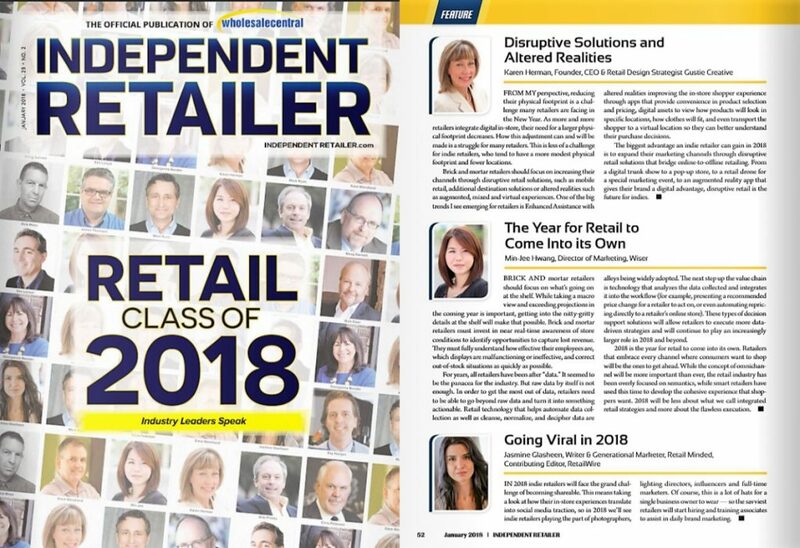 Retail Dive is suitable for retailers who are short on time but still want to keep up to date with what’s happening in the retail industry. If you’re after a retail blog to follow in 2018 that will give you the nuts and bolts of developments, without skimping on quality, then Retail Dive will be a good fit. The writers of this blog aim to give busy professionals a snapshot of the retail industry in just 60 seconds. The blog covers different aspects of retail from loss prevention to payments. The Retail Dive blog analyzes the latest retail industry news to help retail decision-makers make better choices. The Design 4 Retail blog’s main focus is on developments in retail design. If you want to revamp your visual merchandising in 2018, the Design 4 Retail blog will be a good source of inspiration. The blog is operated by an agency with large retail clients, like Diesel and Adidas. You’ll learn about the best in design in relation to how to maximize the customer experience and sales. Irrespective of the size of your store, the Design 4 Retail blog will provide creative ideas from leading retailers that you can tailor to suit your store and your budget. The Retail IT Insights blog provides retailers with information about emerging technologies that affect retail. This blog covers how to use different technology, like big data and voice commerce, to gain a competitive edge. Are you searching for a resource that will help you to utilize advances in technology to deliver a better customer experience and increase sales? If the answer is yes, then the Retail IT Insights blog will be a useful source. As well as blogs, you’ll also find white-papers and case studies for more in-depth data and analysis. 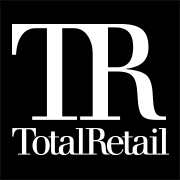 The Total Retail blog provides commentary on the latest retail news. The team of expert staff writers analyzes the latest developments around issues, like marketing and e-commerce. The blog aims to appeal to retailers that are adopting an omnichannel approach to sales. The blog is supplemented by a daily newsletter and a quarterly print issue. The Total Retail site also hosts in-person events to encourage networking among retail professionals and to equip them with the best tools to do their jobs. The Retail Adventures Blog is authored by Rich Kizer and Georganne Bender. The authors write from their diverse perspectives as consumers and consultants to large retail brands. The blog covers a wide range of topics relating to retail, including merchandising, customer service and sales. If you’re looking to follow a blog that has a simple and clean layout with no adverts for an uninterrupted reading experience, consider reviewing the Retail Adventures Blog. The minimalist style of the blog shouldn’t detract from the quality of the content. The authors provide in-depth posts on the essentials of operating and growing a retail store. The CrossCap Retail Marketing blog is focused on bringing retailers the latest developments in technology. The blog is owned by a company that provides marketing and project management solutions to retailers. The company’s work with Fortune 1000 retailers gives it a unique insight into what’s happening in the retail marketplace. It then distributes this practical experience via the blog to better equip other retailers. The CrossCap Retail Marketing blog is one to follow if you’re in need of direction on how to gain the maximum benefit from using multiple channels to promote and market your retail store. The Retail Geek blog and podcast is brought to you by Jason Goldberg, the head of multi-channel commerce and content at the digital marketing firm, Razorfish. Jason Goldberg writes about how retailers can use multiple channels and touchpoints to deliver the best customer experience. If you’re exploring ways to boost the customer experience in-store and online, consider following the Retail Geek blog. If you prefer to consume information while on-the-go, you might find the Retail Geek podcast useful. The podcast features industry experts that discuss the implications of current retail news. The Shopify blog is brought to you by one of the leading e-commerce platforms. The blog is a comprehensive retail resource and boasts over 200 topics including marketing, e-commerce, and day-to-day retail operations. The blog was traditionally centered on e-commerce issues, but has evolved to include all types of retail stores and experiences. The blogs are written by experts in their particular area. You’ll find practical hints and tips that you can implement in both your e-commerce and brick and mortar store. Are you looking for a blog that gives you hands-on tips and strategies for successful retail selling? If yes, check out the Shopify blog to decide whether it’s one that you’d like to follow in 2018. The Duct Tape Marketing Blog is operated by John Jantsch, who is a top marketing consultant, author, and speaker. He provides small business owners – including retailers – with tips and strategies to effectively market their business. He covers topics like email marketing, Facebook advertising, and content creation. The Duct Tape Marketing blog is useful to follow in 2018 if you’re looking for a way to grow your retail business using online marketing techniques. Although the Deputy blog provides insight and practical advice to business owners in a variety of industries, its in-depth retail posts give detailed insights and useful tips for retailers. With blog titles like grand opening ideas for your small business and 77 retail interview questions, there’s a wealth of information covering different aspects of operating a retail business. If you’re on the lookout for a reliable resource to help you to manage your workforce for maximum efficiency and to remain compliant with federal and state laws, you should think about following the Deputy blog to build a strong and resilient team as well as grow your retail business. Our recommendations for the best retail blogs to follow in 2018 provide everything retailers need to make better decisions in relation to their stores. Whether you prefer in-depth articles or short-form content, you’ll find a blog that suits your learning style among the 16 recommended blogs above. What’s your favorite blog on this list? Or, did we miss your favorite blogger? Make sure to comment and let us know! 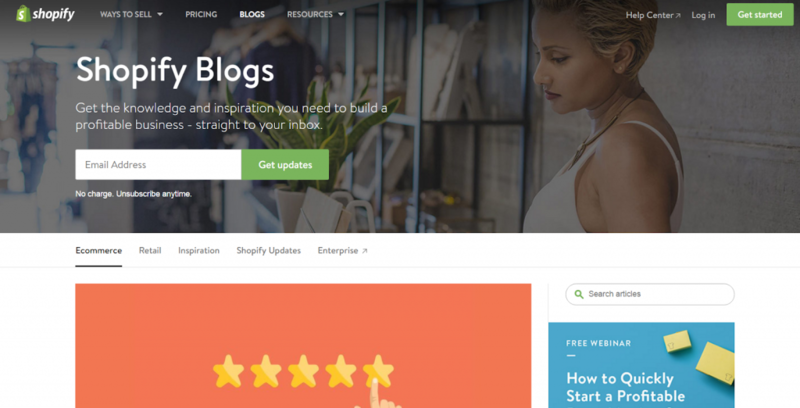 The post 16 of the best retail blogs to follow in 2018 appeared first on Deputy.